Shining a light on issues. At EatonRiver we have the experience to design cutting edge campaigns, so whether you are a company or a candidate your messaging hits the right targets with the right message. For over 25 years Kathie Summers has been a leader in strategic planning for corporations, advocacy groups and candidates in New England. She understands how to win, and how to build a winning strategy. For over 25 years, Kathie Summers-Grice has been advising clients that include elected officials, Fortune 500 companies and non-profits on how to build and sustain powerful and effective grassroots public affairs strategies. She is noted as being the architect of two of the biggest upset victories in the last ten years in Republican politics in New England as chief strategist for Lincoln Chafee’s stunning come from behind primary win in 2006 and Republicans sweep of the Maine Senate in 2010. She has developed and implemented successful public affairs campaigns for Delta Airlines, eBay, Pfizer and for local New England initiatives on card check, gambling, dental care expansion and clean energy. 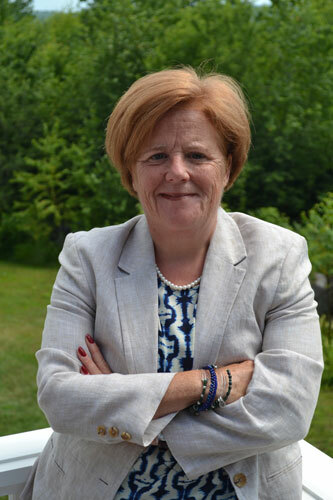 She has been named one of the most influential people in Republican politics in Maine and was on Campaign and Elections list of their top 500 influencers. She served 4 years in the Administration of George W. Bush as the Regional Representative for the US Department of Labor. Garrett Mason is a Maine native with roots that go back generations. Born in Lewiston, Maine he was raised in Lisbon Falls where both sides of his family have lived for over 100 years. He is a 2006 graduate of Pensacola Christian College in Pensacola, Florida, and holds a bachelor of science degree in Management and Marketing. After college, Mason worked in Maine’s vibrant sports administration field serving in various roles for the Portland Sea Dogs (AA affiliate of the Boston Red Sox) and the Quebec Major Junior Hockey League’s Lewiston MAINEiacs. It was serving in these rolls that prompted his calling for public service. In 2010, Mason entered the race for State Senate. He defeated an 18 year incumbent by 11% of the vote and served for eight years representing Androscoggin and Kennebec Counties in the Senate. He was elected by his peers to serve as Majority Leader at 29 years old – the youngest in state history. He is the only person in over 50 years to serve back to back terms as Majority Leader. 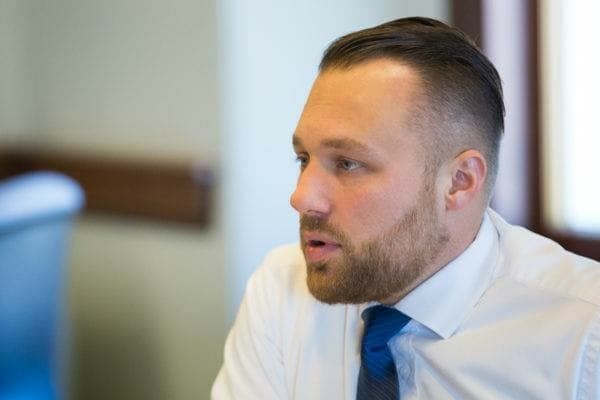 During his time in the Maine State Legislature, Senator Mason has served one various committees including Criminal Justice and Public Safety; Education and Cultural Affairs; Government Oversight; Energy, Utilities, and Technology; and Veterans and Legal Affairs. In 2018, Mason ran for the Republican nomination for Governor. He placed second in the first ever statewide Ranked Choice election in America. In 2018 Mason was awarded an honorary doctorate in humanities by his alma mater, Pensacola Christian College, for his contributions to conservative politics. He lives in Lisbon Falls on his family’s homestead with his wife Rebekah.